If you want to get One Grip Higher, be a better brand than a busted post. Every Friday morning I meet my buddy Luke at Starbucks. We are both young dads and the only time we can seem to find to catch up on a regular basis is before work each Friday morning. I am not a morning person, but I love the quiet peacefulness of the early morning and look forward to meeting each week. The fact that we get to slowly enjoy great coffee is more than a small bonus. Busted Posts at My Local Starbucks! Now, I am really big on environment and the “feel” of a place. This certainly did not fit with what I have come to expect from my Starbucks experience. 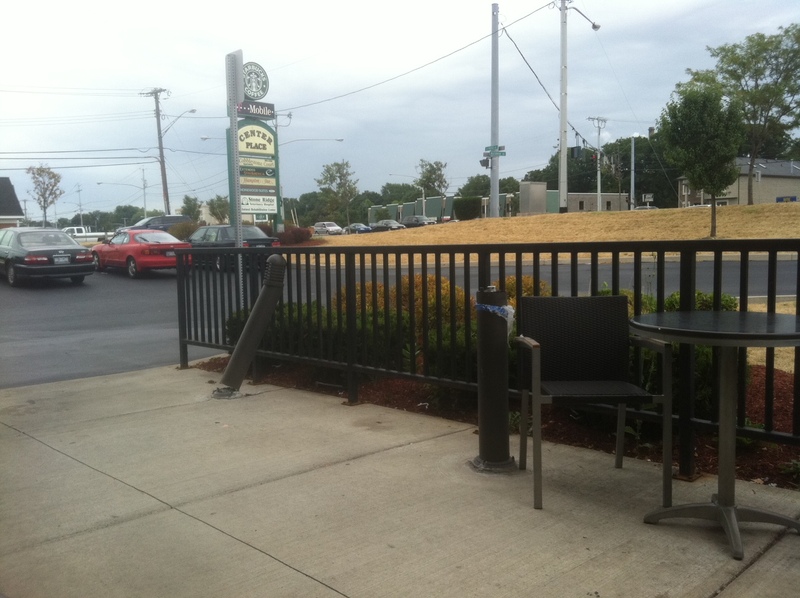 But here is the deal… Starbucks has a better brand than a busted post! I will return next Friday… and the Friday after that. How about you. Is your brand better than a busted post? Do your customers, co-worker, bosses, friends and family members find your value so consistent that they will overlook a busted post or two? If your brand is better than a busted post you are already One Grip Higher… if it isn’t, what changes do you need to make? Dude, you’re so right. I wouldn’t stop going to the centre place St. Arbucks even if their were all broken.